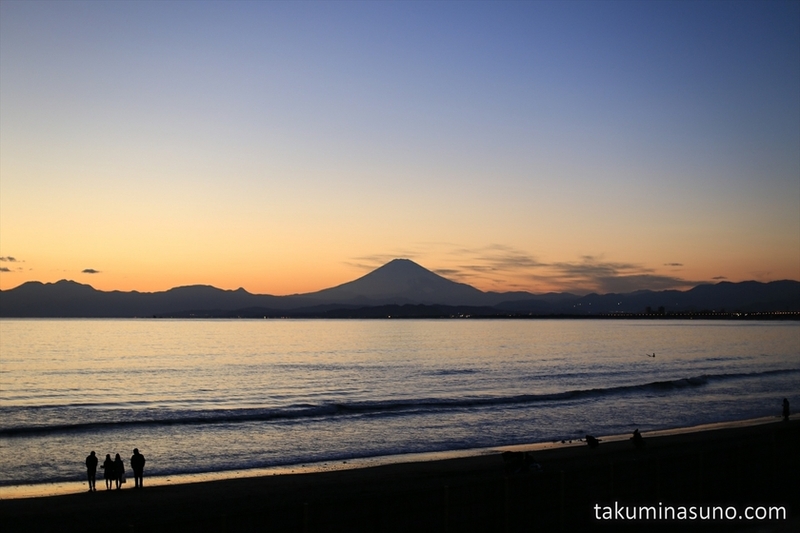 I love this view from Enoshima Island because I can see the whole view of Mt. Fuji without obstacles. 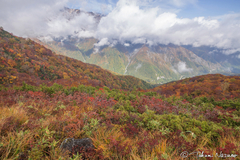 I often see Mt. Fuji from my town in Tokyo, Yokohama, and even in Jogashima Island. But the figure of Mt. Fuji from any of the three is half hidden behind another mountain or buildings. It looks like there is no tall mountain between Mt. 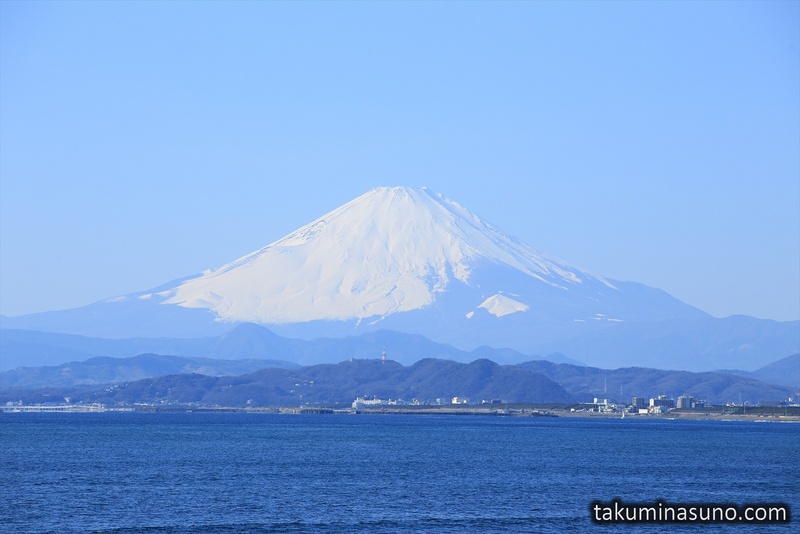 Fuji and Enoshima Island. It's really nice. The sky is perfectly clear in blue. 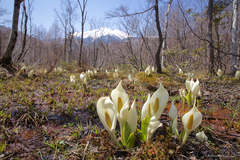 This is why the white color looks so outstanding and awe-inspring. This is a funny photo from New Enoshima Aquarium. This aquarium is also a good place to see Mt. 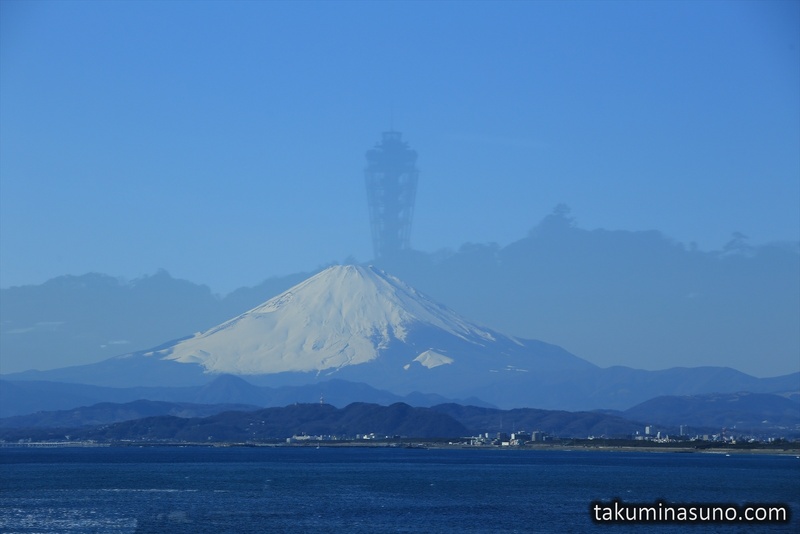 Fuji, and I happened to find a certain location where the glass reflected the shadow of Enoshima Island. Enoshima Sea Candle is being an unexpected decoration of the biggest mountain of Japan. 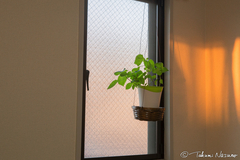 Later, I welcomed the awesome sunset time. We'd got some clouds in the sky, which is a nice attachment to the sunset from one of the most famous beaches in Kanto Area. Mt. Fuji's shadow is just brilliant. I always feel like wanting to vow and pray when I see this shadow in a good weather. 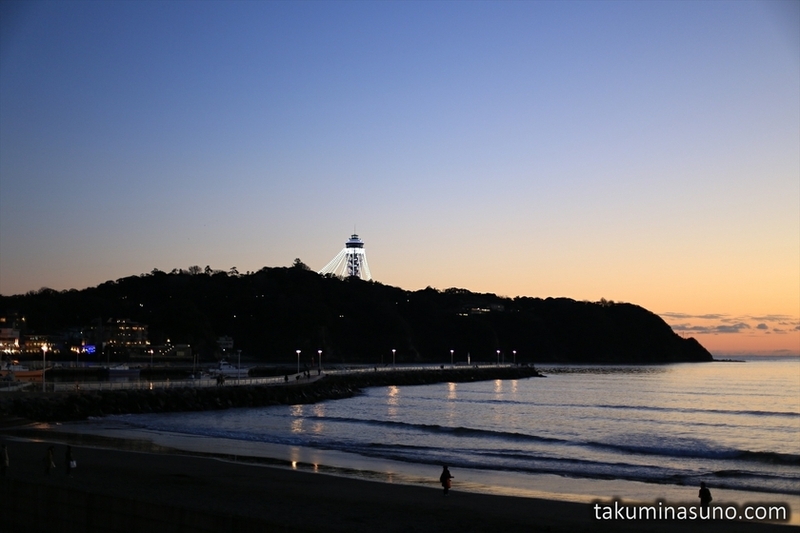 At the last moment of the sunset time, I looked back to the east, finding this big existence of Enoshima Sea Candle. 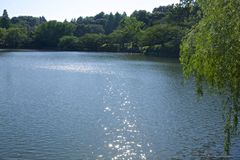 It is really easy to come here. It only takes an hour from Tokyo Station to Katase-Enoshima Station, and you will soon find this beach as soon as you start to walk from there. 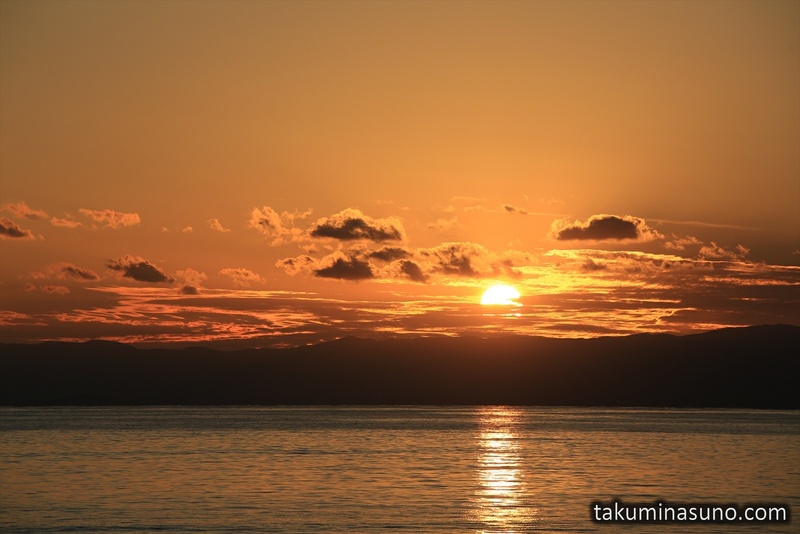 Enoshima Island is not a place where we can enjoy only in summer, but a place where we can enjoy each of four seasons.